In January, the two countries announced they were negotiating an oil-for-goods swap worth $1.5 billion a month, allowing Iran to raise its oil exports substantially. The deal, exporting 500,000 barrels a day of crude to Russia in exchange for Russian equipment and goods, could have violated the exiting oil sanctions against Iran. As late as November, however, the Kremlin was saying that it planned to sign contracts to deliver grain and possibly industrial products to the Iranians in exchange for oil. The recent oil glut and plummeting of global oil prices would probably have made the deal unworkable, as re-selling that much of Iranian crude in this market would not have been easy. Iran announces all sorts of things and numerous deals are said to be "in discussion". how many years of Iranian announcements concerning that Iran-India-Pakistan pipeline were there? In this instance, it was Russia that announced the pending deal. And probably it is Russia that is backing off now, perhaps due to new realities in the oil markets.
" the two countries announced they were negotiating an oil-for-goods swap...."
was it only Russia or did Iran also announce it? In January, the two countries announced that they were negotiating the deal. in November, Russia announced it will be implementing the deal through a swap of grain and industrial products for oil. Now Iran is saying that the deal has not gone through. In the current situation and in the coming future Iran and Russia depends on each other, and the problem is that Iranian oil at the current prices will buy less Russian goods at present. However it gives both countries some advantages in their situations. 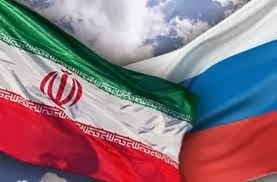 Russia can store Iranian oil in anticipation for higher prices and increase their employment and production of goods. Russian goods will not be so restricted like the Chinese ones, and their transport will require shorter way to Iranian land. A-F--- Russia doesn't have any need of Iranian oil and can't afford to pay for oil that it doesn't need. the two nations are competitors in the oil business and Russia has neither interest nor reason to bail Iran of a lousy situation of their own making. I am not fantasizing, because if you could read my posts from the past, I haven't made any fantasies. On the other hand, from Russia statements and declarations, Iran is her strategic partner, which from a military point of view can guarantee Russian teritorial integrity. And for that matter Russia may lend or exchange some equipment and materials. I believe that Iran is waiting for a better oil price on the world market, to proceeds with that Russian deal. Next year will bring and enforce many decisions related to the most situations faced by both countries and the rest of the world, which will bring more clarity .
" Iran is her strategic partner, which from a military point of view can guarantee Russian teritorial integrity"
sorry, but that is pure fantasy. iran is not Russia's partner and Iran can't "guarantee" a dam thing. Iran can not project military power...it can't even satisfactorily defend its own territory against a Russian attack or an attack from any power that might conceivably attack Russia. Iran has no navy or air force and has a large army with second-rate equipment and capabilities. Your statements and characterization can be compared to those "important" think- tanks and journalists, who claimed at the end of the 90s and later, that Russia will be, for next decades; if not "forever", a second class military and political player. It took a longer time for that Russia's intervention in that matter, but they have done it finally. There could be some similiarities in their reaction to Iranian developments. It, that one has no more sophisticated navy than adversaries, doesn't preclude positive outcome to his advantage. For instance Russian navy in the Mediterrannean Sea prevented attack against Syria despite pressence of numerous and modern warships from the West, as well as prevailed in the Georgian war in the 2008, when western warships sailed toward, and in, the Black Sea. Someone could notice that Ms. C. Rice, with her different advisers, held extensive talks with Mr Sakashvili and his commanders....a month before that war.